Whether it’s heavy parts or large components: where others have to pass it up, we knuckle down. We’re always on the scene when it comes to lifting and transporting loads. We’ve been a guarantee of safety and precision for decades. We work professionally, punctually and reliably. And we own a fleet of vehicles which is equal to practically any task. 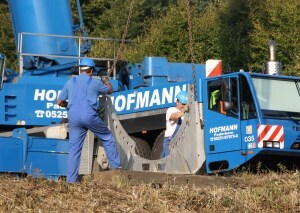 Hofmann Kran-Vermietung GmbH & Co. KG (formerly Walter Hofmann KG) has been active as a hire company for mobile cranes since 1962, employing around 120 people today. The fleet currently consists of roughly 400 vehicle units. These include 53 mobile cranes (power classes 7-750 t), 70 trailers and 185 boom lifts. For over 50 years, we have been regarded across all branches as an expert service provider and a strong partner across all sectors. 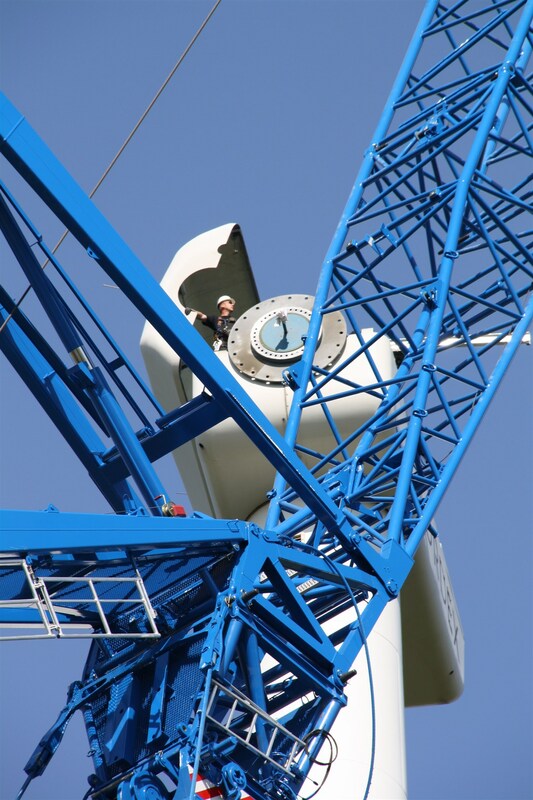 Especially when it comes to manufacturers of wind turbines and companies from the reinforced concrete construction, civil and structural engineering, assembly contracting, heavy industry and petrochemicals sectors, we are regarded as a strong and 100% reliable specialist for lifting and transporting. 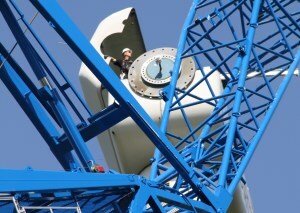 Our technical equipment can handle even the heaviest loads, the heaviest piece weights and the largest dimensions. Designers and project engineers in all industries appreciate our team’s service, professionalism and experience. The professional excellence of our crane and vehicle drivers guarantees the highest safety standards and perfect workflows at every stage. Whether it’s a major project or a single task with clear demarcations, we don’t take any job lightly. 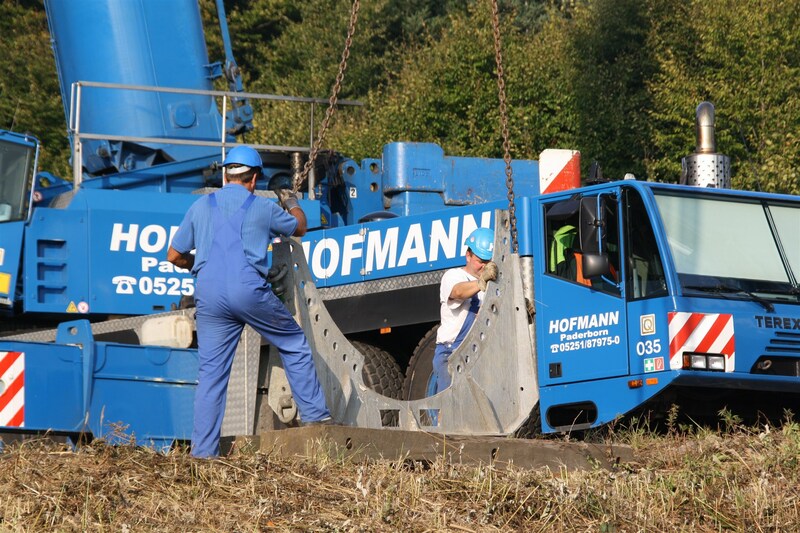 Hofmann always attaches great importance to ensuring that our partners in environmental engineering, industry and the building sector benefit from planning certainty and the exemplary commitment of our employees – and from our exceptional fleet. It’s one thing to lift loads and quite another to get them to where they are needed (or where they are going to be disposed of). We are very proud of being able to solve both tasks safely and easily, even when it comes to parts with unusual shapes, weights and dimensions. In other words – Hofmann takes hold of the task! One of the fundamental principles of our company is that employees enjoy personal responsibility for their own area, for observing clearly defined rules and for behaving responsibly towards the environment and resources. The trust of our customers working in wind power, the building sector, steel and concrete construction, the cement industry, chemicals and other industries is our most important asset. And we know to handle this with care. For example, by supplying what is requested across the board: dedication, punctuality and sophisticated quality, environmental and occupational safety standards. Our partners in environmental engineering, industry and the building sector benefit daily from the professionalism and the experience of our great team, from a first-class equipment fleet, from careful planning and from exemplary execution. Especially when – as we have often done in the past – a major project requires simultaneous and coordinated use of more than 60 mobile cranes. Don’t worry: with us, it’s not a matter of achieving lift-off. On the contrary – we have our feet firmly on the ground. And it’s just that which is our recipe for success, helping us to achieve ambitious goals and transport loads of the most diverse shapes, weights and dimensions to their assigned place. Always safely, precisely and exactly according to plan. And that’s what it’s all about in the end, isn’t it? Purchase of a recovery crane with a heavy-duty trailer. Gottwald AMK 45 erecting the Christmas tree in front of the Paderborn Town Hall. Gottwald AMK 85 in the bridge assembly. Acquisition of the Crane Hire business division of Walter Hofmann KG by Dirk Bracht. The Demag AC 75 with the children of our staff during a company party. 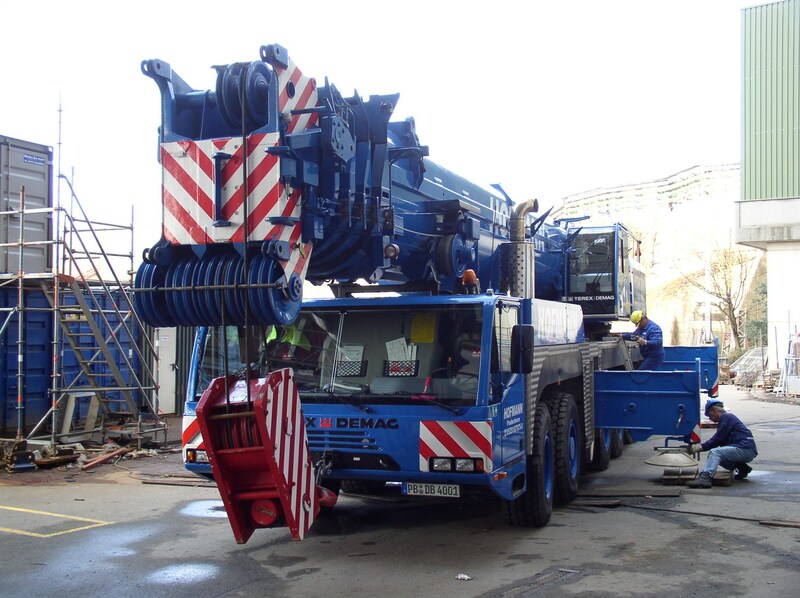 The new Demag AC 350 with Superlift equipment is now operational. 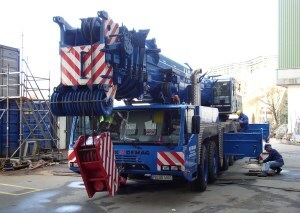 An additional large crane with a load-bearing capacity of 500 t is now available with the Liebherr LTM 1500. The new workshop hall on Frankfurter Weg in Paderborn has been completed. Over 100 work platforms are now available in our hire fleet. The new LTM 1750 is now the largest telescopic crane in our crane fleet and is the preferred choice for the wind energy sector. The office extension of our administration building has been completed. An additional large crane for the wind energy sector is now available with the Liebherr LR 1600 lattice mast crawler crane.